(1) Adeno-associated viral vector silencing human HTT gene (AAV5-miHTT) binds to neuron cell-surface receptors and is internalized. (2) The viral vector is transported into the nucleus and then degrades, uncoating the miHTT transgene. (3) The miHTT transgene is expressed and processed by the endogenous RNA interference machinery. (4) The hairpin structured precursor of miHTT is transported to the cytoplasm and further processed to the final mature miHTT. (5) The mature miHTT binds HTT messenger RNA, and the RNA duplex is recognized by RNA-induced silencing complexes. (6) HTT messenger RNA is cleaved, resulting in lowering of huntingtin protein expression. Image and caption courtesy of uniQure. 1 Maczuga P, Lubelski J, van Logtenstein R, et al. Embedding siRNA sequences targeting Apolipoprotein B100 in shRNA and miRNA scaffolds results in differential processing and in vivo efficacy. Mol Ther. 2013;21(1):217-227. 2 Miniarikova J, Zanella I, Huseinovic A, et al. Design, Characterization, and Lead Selection of Therapeutic miRNAs Targeting Huntingtin for Development of Gene Therapy for Huntington’s Disease. Mol Ther Nucleic acids. 2016;5(3):e297. 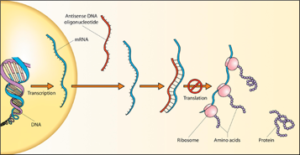 Image source: Robinson R. RNAi Therapeutics: How Likely, How Soon? PLoS Biol. 2004 Jan;2(1):E28. Epub 2004 Jan 20. DOI: 10.1371/journal.pbio.0020028. Published under a Creative Commons 2.5 License. Molecular formula: Stereopure antisense oligonucleotide (ASO) targeting single nucleotide polymorphisms (SNPs). Pfister and colleagues9 reported that they have been able to develop small interfering RNAs (siRNAs) that target specific SNPs to treat approximately 75% of individuals with HD. In 2015, targeting approaches were further refined with the discovery that targeting three common haplotypes could enable selective silencing of the HD gene in approximately 80% of patients.13 The use of stereopure synthesis to enhance the delivery and efficacy of these highly targeted compounds may further refine ongoing efforts to develop an effective and safe gene-silencing therapy for HD. Skotte NH et al.16 2014 ASO rs7685686_A Allele-specific, high affinity ASOs targeting different SNPs associated with HD could together offer allele-selective silencing to approximately 50% of patients, and non-selective silencing to the remainder. Drouet et al.12 2014 shRNA rs363125, rs362331, rs2276881, rs362307 shRNA delivered with a lentiviral vector to cellular and animal models showed in vitro and in vivo silencing of mHTT. Yu D et al.17 2012 ss-siRNA Targets CAG repeat ss-siRNA targeting expanded CAG repeats led to selective silencing of mHTT expression in an HD mouse model. 1. Wild EJ, Tabrizi SJ. Targets for future clinical trials in Huntington’s disease: What’s in the pipeline? Mov Disord. 2014 Sep 15;29(11):1434-45. doi: 10.1002/mds.26007. Epub 2014 Aug 25. 2. De Mesmaeker A, Altmann K-H, Waldner A, Wendeborn S. Backbone modifications in oligonucleotides and peptide nucleic acid systems. Curr. Opin. Struct. Biol. 1995;5(3):343-355. 3. Butler D, Iwamoto N, Meena M, et al. Chiral control. Google Patents; 2015. 4. 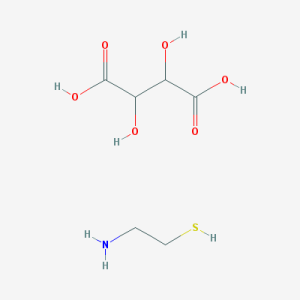 Verdine GL, Meena M, Iwamoto N. Novel nucleic acid prodrugs and methods of use thereof. Google Patents; 2012. 5. Verdine GL, Meena M, Iwamoto N, Butler DCD. Methods for the synthesis of functionalized nucleic acids. Google Patents; 2014. 6. Wave Life Sciences. Wave Life Sciences – Platform. [Website]. 2016; www.wavelifesciences.com/platform. Accessed August 19, 2016. 7. Wave Life Sciences. Wave Life Science – Pipeline. 2016; www.wavelifesciences.com/pipeline. Accessed August 19, 2016. 8. WAVE Life Sciences receives orphan drug designation from FDA for its lead candidate designed to treat Huntington’s disease [press release]. June 21, 2016. 9. Pfister EL, Kennington L, Straubhaar J, et al. Five siRNAs targeting three SNPs may provide therapy for three-quarters of Huntington’s disease patients. Curr. Biol. 2009;19(9):774-778. 10. Kordasiewicz Holly B, Stanek Lisa M, Wancewicz Edward V, et al. 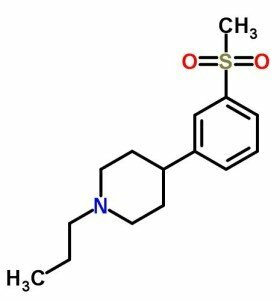 Sustained therapeutic reversal of Huntington’s disease by transient repression of Huntingtin synthesis. Neuron. 2012 Jun 21;74(6):1031-44. doi: 10.1016/j.neuron.2012.05.009. 11. Carroll JB, Warby SC, Southwell AL, et al. Potent and selective antisense oligonucleotides targeting single-nucleotide polymorphisms in the Huntington disease gene / Allele-specific silencing of mutant huntingtin. Mol Ther. 2011 Dec;19(12):2178-85. doi: 10.1038/mt.2011.201. Epub 2011 Oct 4. 12. Drouet V, Ruiz M, Zala D, et al. Allele-specific silencing of mutant huntingtin in rodent brain and human stem cells. PLoS One. 2014 Jun 13;9(6):e99341. 13. Kay C, Collins JA, Skotte NH, et al. Huntingtin haplotypes provide prioritized target panels for allele-specific silencing in Huntington disease patients of European ancestry. Mol Ther. 2015 Nov;23(11):1759-71. 14. Miniarikova J, Zanella I, Huseinovic A, et al. Design, characterization, and lead selection of therapeutic mirnas targeting huntingtin for development of gene therapy for Huntington’s disease. Mol Ther Nucleic Acids. 2016 Mar 22;5:e297. 15. Pfister EL, Kennington L, Straubhaar J, et al. 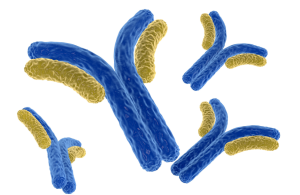 Five siRNAs targeting three SNPs may provide therapy for three-quarters of Huntington’s disease patients. Curr Biol. 2009 May 12;19(9):774-8. 16. Skotte NH, Southwell AL, Østergaard ME, et al. Allele-specific suppression of mutant huntingtin using antisense oligonucleotides: providing a therapeutic option for all Huntington disease patients. PLoS One. 2014 Sep 10;9(9):e107434. 17. Yu D, Pendergraff H, Liu J, et al. Single-stranded rnas use rnai to potently and allele-selectively inhibit mutant huntingtin expression. Cell. 2012 Aug 31;150(5):895-908. Animal models of HD and human individuals with HD both exhibit immune dysregulation and increased inflammation in addition to the characteristic neuronal atrophy observed in the disease. Semaphorin 4D (SEMA4D) is a transmembrane signaling protein implicated in several processes that may increase neuroinflammation, including glial cell activation, inhibition of oligodendrocyte and astrocyte migration, inhibition of neurodevelopment, and inducement of apoptosis.2 Given the increased inflammatory response and chronic immune activation observed in HD, SEMA4D inhibition may slow the progression of neurodegenerative processes. SEMA4D has also been implicated in assisting in the abnormal growth of cancer cells because its high expression at the margins of invasive growths inhibits anti-tumor immune cells from entering the tumor. Strikingly, in metastatic processes, SEMA4D inhibition promotes inflammation and immune activity to encourage rejection of invasive growths,3 in contrast to the inhibitory effect VX15/2503 exhibits on neuroinflammation in mouse models of HD. VX15/2503 was also recently evaluated by Vaccinex in a phase I study in adults with solid tumors. VX15/2503 showed promise for neuropathology and cognitive symptoms of HD in the YAC12B mouse model, but did not demonstrate motor improvements.2 The SIGNAL trial may help to determine whether SEMA4D inhibition in the early stages of human HD might have similar effects. 1 Smith ES, Jonason A, Reilly C, et al. SEMA4D compromises blood–brain barrier, activates microglia, and inhibits remyelination in neurodegenerative disease. Neurobiol. Dis.2015;73:254-268. 2 Southwell AL, Franciosi S, Villanueva EB, et al. Antisemaphorin 4D immunotherapy ameliorates neuropathology and some cognitive impairment in the YAC128 mouse model of Huntington disease. Neurobiol. Dis. 2015;76:46-56. 3 Evans EE, Jonason AS, Bussler H, et al. Antibody Blockade of Semaphorin 4D Promotes Immune Infiltration into Tumor and Enhances Response to Other Immunomodulatory Therapies. Cancer Immunol. Res. 2015;3(6):689-701. 5 Smith ES, Zauderer M. Antibody library display on a mammalian virus vector: combining the advantages of both phage and yeast display into one technology. Curr Drug Discov Technol. 2014;11(1):48-55. 6 Kingma EM, van Duijn E, Timman R, van der Mast RC, Roos RA. Behavioural problems in Huntington’s disease using the Problem Behaviours Assessment. Gen Hosp Psychiatry. 2008;30(2): 155-161. TEVA and Active Biotech have investigated laquinimod as a potential oral treatment for a variety of autoimmune and neurodegenerative diseases. Laquinimod was first investigated for the treatment of relapsing-remitting multiple sclerosis (RRMS), an autoimmune disease that causes inflammation-induced demyelination and axonal degeneration of the CNS, resulting in chronic neurological complications and disability.2 Two of TEVA and Active Biotech’s most recent studies, BRAVO and ALLEGRO, showed that laquinimod decreases the rate of whole-brain atrophy compared to placebo.3 Results in both studies indicate that oral laquinimod is likely to exert a neuroprotective effect resulting in a reduced amount of irreversible brain tissue damage, which is consistent with possible slowing of disability accumulation in RRMS patients.4 These evident neuroprotective effects, reduced inflammatory response, and reduction in brain tissue damage shown in the BRAVO and ALLEGRO studies, could prove effective in other autoimmune and neurodegenerative diseases. 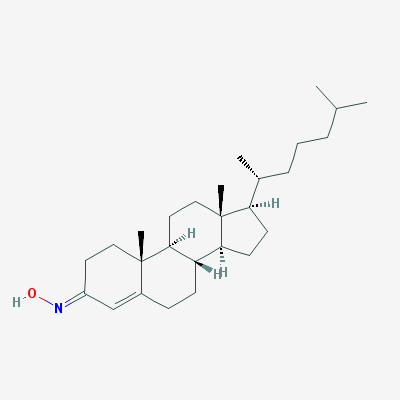 1 Haggiag S, Ruggieri S, Gasperini C. Efficacy and safety of laquinimod in multiple sclerosis: current status. Ther Adv Neurol Disord. 2013 Nov; 6(6):343-52. 2 Brück W, Pförtner R, Pham T, et al. Reduced astrocytic NF-κB activation by laquinimod protects from cuprizone-induced demyelination. Acta Neuropathol. 2012 Sep; 124(3):411-24. 3 Filippi M, Rocca MA, Pagani E, et al. Placebo-controlled trial of oral laquinimod in multiple sclerosis: MRI evidence of an effect on brain tissue damage. J Neurol Neurosurg Psychiatry 2014; 85:851-858. 4 Mishra MK, Wang J, Keough MB, et al. Laquinimod reduces neuroaxonal injury through inhibiting microglial activation. Ann Clin Transl Neurol. 2014 Jun; 1(6):409-22. doi: 10.1002/acn3.67. Epub 2014 May 26. 5 Clinicaltrials.gov. A service of the U.S. National Institutes of Health [Internet]. 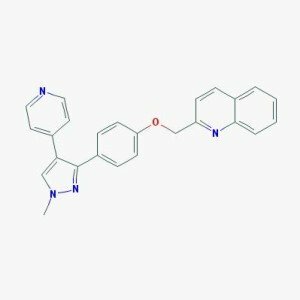 A clinical study in subjects with Huntington’s disease to assess the efficacy and safety of three oral doses of laquinimod (ClinicalTrial.gov identifier: NCT02215616). [cited Dec 30 2014]. Available from: clinicaltrials.gov/ct2/show/NCT02215616. 6 TEVA Pharmaceutical Industries Ltd [Internet]. 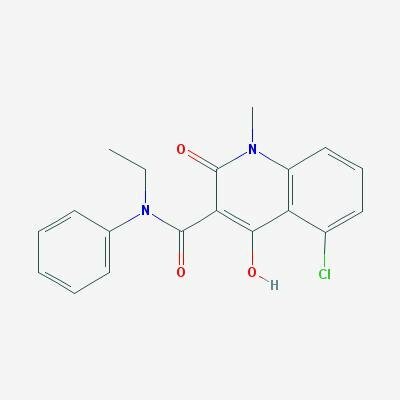 Results of Phase III BRAVO trial reinforce unique profile of laquinimod for multiple sclerosis treatment. 2011 August 11 [cited 2014 Dec 30]. Available from: ir.tevapharm.com/phoenix.zhtml?c=73925&p=irolnewsArticle&id=1591070. The effects of mutant huntingtin on mitochondria have yet to be fully elucidated, but studies suggest that mitochondrial membrane permeability and fluidity may be increased in HD, leading to defects in mitochondrial respiration.11,12 Compounds that decrease mitochondrial membrane fluidity may slow neurodegenerative processes within mitochondria, and thereby slow the progression of HD. 1 Li Y, Zhang Y, Han W, Hu F, et al. TRO19622 promotes myelin repair in a rat model of demyelination. Int J Neurosci. 2013 Nov; 123(11):810-822. 3 Chen CM. Mitochondrial dysfunction, metabolic deficits, and increased oxidative stress in Huntington’s disease. Chang Gung Med J. 2011 Mar-Apr; 34(2):135-152. 4 Urrutia PJ, Mena NP, Nunez MT. The interplay between iron accumulation, mitochondrial dysfunction, and inflammation during the execution step of neurodegenerative disorders. Front Pharmacol. 2014; 5:38. 5 Mehrotra A, Sandhir R. Mitochondrial cofactors in experimental Huntington’s disease: behavioral, biochemical and histological evaluation. Behav Brain Research. 2014 Mar 15; 261:345-355. 6 Bordet T, Buisson B, Michaud M, Drouot C, et al. 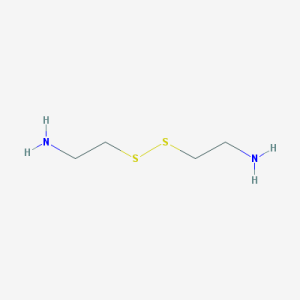 Identification and characterization of cholest-4-en-3-one, oxime (TRO19622), a novel drug candidate for amyotrophic lateral sclerosis. J Pharmacol Exper Ther. 2007 Aug; 322(2):709-720. 7 Trophos announces conclusion of MitoTarget Consortium, achieving advanced understanding of neurodegenerative diseases. Media release. 2012 Jul 31; trophos.com/news/pr20120731.htm. 8 Trophos will present results of pivotal phase II/III study of olesoxime in spinal muscular atrophy patients at the American Academy of Neurology (AAN). Media release. 2014 Apr 28; trophos.com/news/pr20140428.htm. 9 Lenglet T, Lacomblez L, Abitbol JL, Ludolph A, et al. 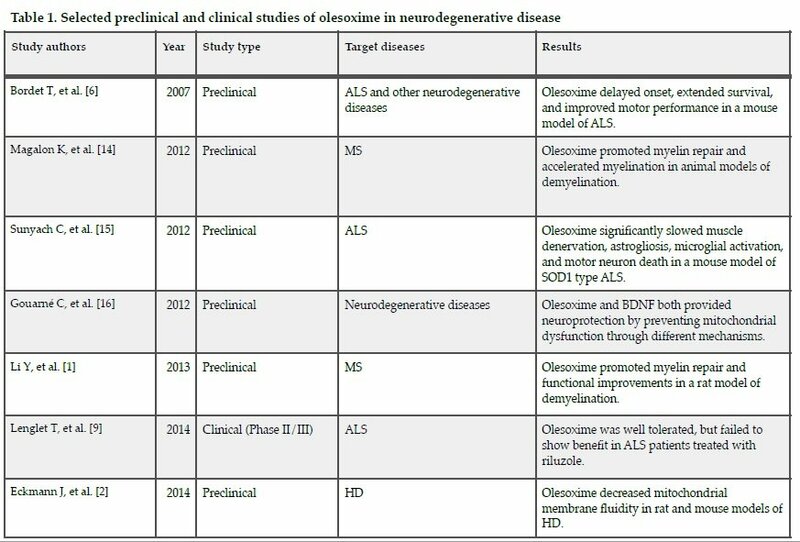 A phase II-III trial of olesoxime in subjects with amyotrophic lateral sclerosis. Eur J Neurol. 2014 Mar; 21(3):529-536. 10 Clemens LE, Wlodkowski T, Eckmann J, Eckert S, et al. 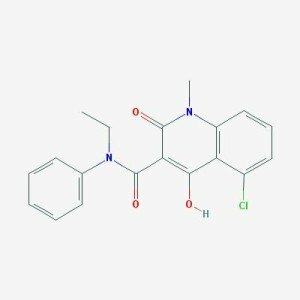 P06 Olesoxime improves specific features of the HD pathology. J Neurol Neurosurg Psychiatry. 2012 Sep 1; 83(Suppl 1):A53-A54.2013. 11 Quintanilla RA, Jin YN, von Bernhardi R, Johnson GV. Mitochondrial permeability transition pore induces mitochondria injury in Huntington disease. Molecular neurodegeneration. 2013; 8:45. 12 Labbadia J, Morimoto RI. Huntington’s disease: underlying molecular mechanisms and emerging concepts. Trends Biochem Sci. 2013 Aug; 38(8):378-385. 13 Valenza M, Leoni V, Karasinska JM, Patricca L, et al. Cholesterol defect is marked across multiple rodent models of Huntington’s disease and is manifest in astrocytes. J Neurosci. 2010 Aug 11; 30(32):10844-10850. 14 Magalon K, Zimmer C, Cayre M, Khaldi J, et al. Olesoxime accelerates myelination and promotes repair in models of demyelination. Ann Neurol. 2012 Feb; 71(2):213-226. 15 Sunyach C, Michaud M, Arnoux T, Bernard-Marissal N, et al. Olesoxime delays muscle denervation, astrogliosis, microglial activation and motoneuron death in an ALS mouse model. Neuropharm. 2012 Jun; 62(7):2346-2352. Sci. 2013 Aug; 38(8): 378-385. 16 Gouarné C, Giraudon-Paoli M, Seimandi M, Biscarrat C, et al. Olesoxime protects embryonic cortical neurons from camptothecin intoxication by a mechanism distinct from BDNF. Br J Pharmacol. 2013 Apr; 168(8):1975-88. doi: 10.1111/bph. 12094.Neuropharm. 2012 Jun; 62(7):2346-2352. Sci. 2013 Aug; 38(8):378-385. Registration Statement. Filed December 20, 2013. www.nasdaq.com/markets/ipos/filing.ashx?filingid=9241956 . Accessed January 21, 2014. 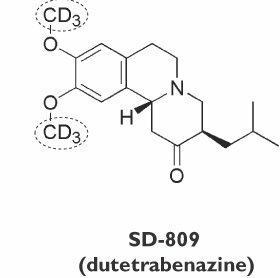 1 Paleacu D. Tetrabenazine in the treatment of Huntington’s disease. Neuropsychiatr Dis Treat. 2007 October; 3(5):545–551. 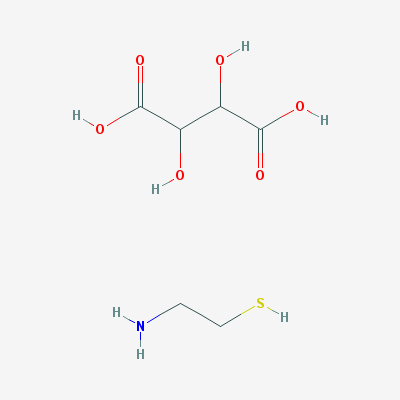 2 Tung R. The development of deuterium-containing drugs. Concert Pharmaceuticals. 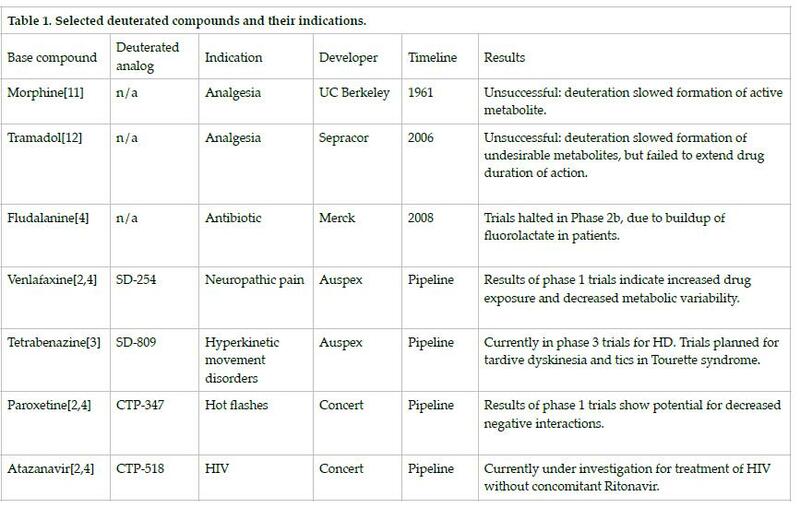 www.concertpharma.com/news/documents/IPT32ConcertPharma.pdf Accessed Dec 30, 2013. 4 Harbeson SL, Tung RD. Deuterated drugs as clinical agents. Annu Rep Med Chem. 2011 Oct. 12;46:412-414. 5 Yarnell AT. Heavy-hydrogen drugs turn heads, again. C&EN 2009; 87(25):36-39. 7 Kushner DJ, Baker A, Dunstall TG. Pharmacological uses and perspectives of heavy water and deuterated compounds. Can J Physiol Pharmacol. 1999 Feb; 77(2):79-88. 8 Sanderson K. Big interest in heavy drugs. Nature. 2009 Mar 19; 458(7236):269. 9 First time use of SD-809 in Huntington disease (First-HD).ClinicalTrials.gov. http://clinicaltrials.gov/ct2/show/NCT01795859. Accessed Dec. 2, 2013. 10 Long term safety study of SD-809 in patients chorea associated with Huntington disease (ARC-HD). ClinicalTrials.gov. http://clinicaltrials.gov/ct2/show/NCT01897896. Accessed Dec. 2,2013. 11 Elison C, Rapoport H, Laursen R, Elliott HW. 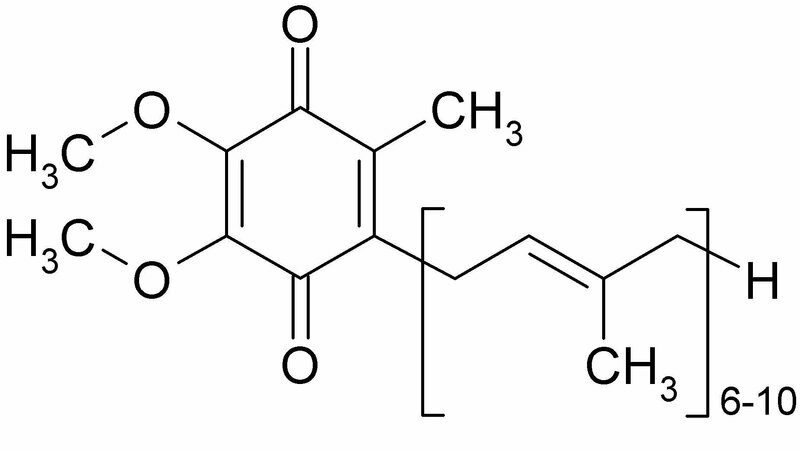 Effect of deuteration of N-CH3 group on potency and enzymatic Ndemethylation of morphine. Science. 1961 Oct 13; 134(3485):1078-9. 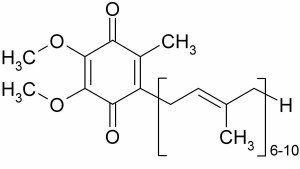 12 Shao L, Abolin C, Hewitt MC, Koch P, Varney M. Derivatives of tramadol for increased duration of effect. Bioorg Med Chem Lett. 2006 Feb; 1 6(3):691-4. Epub 2005 Oct 27. Mechanism of Action: CoQ10 occurs naturally in the body, an important antioxidant in the mitochondrial electron transport chain1. It has been shown to decrease the abnormally high lactate-pyruvate levels in cerebrospinal fluid in HD2. CoQ10 has been explored as a neuroprotective in PD and HD (Table 1). Although the QE3 trial of CoQ10 in PD showed no significant benefits,3 studies in HD have shown more promising results. Dr. Flint Beal, Professor of Neurology and Neuroscience at Weill Medical College of Cornell University, told HD Insights that the failure of CoQ10 in PD has an unknown impact on its use in HD. “I am still hoping that the results in HD will be beneficial,” he said. Dr. Karl Kieburtz, Director of the Clinical and Translational Science Institute at the University of Rochester, told HD Insights that the evidence for a modest benefit of CoQ10 in HD is greater than in the case of PD. The CARE-HD study of high dose CoQ10 and remacemide in HD demonstrated a trend toward slowing functional decline4. Dr. Kieburtz suggested that these results may indicate that the benefits of long-term CoQ10 are detectable only in a clinical trial setting. Further exploration of CoQ10 is important, he said, because it is a low-cost, readily available intervention that people at risk for HD can take at low risk for a long time, while some more potent therapies that target specific biological processes may demonstrate high toxicities. This exploration is currently being undertaken in the 2CARE study, a multi-center, randomized, double-blind, placebo-controlled study of high-dose CoQ10, conducted by the Huntington Study Group (HSG) under the direction of Drs. Merit Cudkowicz, Michael McDermott, and Karl Kieburtz. 2CARE aims to identify the effects of CoQ10 on functional decline in HD, as well as its long-term safety and tolerability5. 1 Chaturvedi RK, Beal MF. Mitochondria targeted therapeutic approaches in Parkinson’s and Huntington’s diseases. Mol Cell Neurosci. 2013 Jul; 55:101-14. 2 Koroshetz WJ, Jenkins BG, Rosen BR, Beal MF. Energy metabolism defects in Huntington’s disease and effects of coenzyme Q10. Ann. neurol. 1997;41(2):160-5. Epub 1997/02/01. doi: 10.1002/ana 410410206. PubMed PMID: 9029064. 3 National Institute of Neurological Disorders and Stroke (NINDS). Statement on the termination of QE3 study [Internet]. [Updated 2011 June 2; cited 2013 Sep 19]. Available from ninds.nih.gov/disorders/clinical_trials/CoQ10-TrialUpdate.htm. 4 Kieburtz K, Koroshetz W, McDermott M, et al. A randomized, placebo-controlled trial of coenzyme Q10 and remacemide in Huntington’s disease. Neurol. 2001 Aug 14; 57(3):397-404. 5 ClinicalTrials.gov. Coenzyme Q10 in Huntington’s Disease (HD) (2CARE) [Internet]. [Cited 2013 Sep 19]. Available from clinicaltrials.gov/ct2/show/NCT00608881?term=2CARE +Huntington&rank=1. 6 Hyson HC, Kieburtz K, Shoulson I, et al. Safety and tolerability of high-dosage coenzyme Q10 in Huntington’s disease and healthy subjects. Mov Disord. 2010;25(12):1924-8. 7 Schults CW, Oakes D, Kieburtz K, et al. Effects of coenzyme Q10 in early Parkinson d isease: Evidence of slowing of the functional decline. Arch Neurol. 2002 Oct; 59(10):1541-50. 8 Kieburtz K, Ravina B, Galpern W, et al. A randomized clinical trial of coenzyme Q10 and GPI-1485 in early Parkinson Disease. Neurol. 2007 Jan 2;68(1):20-28. 9 Beal MF. A phase III clinical trial of coenzyme Q10 (QE3) in early Parkinson’s disease: Parkinson Study Group QE3 Investigators [Abstract]. Mov Disord. 2012 Jun 17-21; 27 Suppl 1:346. MECHANISMS OF ACTION: PDE10A inhibition increases the activity of both the cAMP and cGMP signaling cascades, as well as the MAP kinase pathway, and results in a powerful induction of striatal gene transcription and an overall increase in striatal output. MECHANISMS OF ACTION: Functional antagonism of dopamine type 2 receptors and strengthening of cortical glutamate functions in the central nervous system. Two previous studies that feature Huntexil® are the MermaiHD study and the HART study. The MermaiHD study was a 26-week, double-blind, controlled trial of 437 HD patients conducted in 2008 through 2009 at 32 centers in Europe1. Study participants were randomized to receive either placebo (n=144) or doses of 45mg (n=148) or 90mg (n=145) of Huntexil per day. The primary outcome measure was the modified motor score, a subset of the Unified Huntington’s Disease Rating Scale (UHDRS) total motor score. The 90 mg per day group improved 1.0 points on the modified motor score compared to placebo from baseline to week 26, but the improvement was not statistically significant. The 90 mg per day group showed a statistically significant improvement of 3.0 points in total motor score compared to placebo. Changes in other motor outcomes were not significant across groups. The HART study was a 12-week, double-blind, controlled trial of 227 HD patients conducted in 2009 through 2010 at 27 centers in Canada and the United States2. Study participants were randomized to receive placebo (n=58) or doses of 20 mg (n=56), 45 mg (n=55), or 90 mg (n=58) of Huntexil per day. As in the MermaiHD study, the primary outcome measure was the modified motor score, but the improvement of 1.2 points on the modified motor score of the 90mg per day group compared to placebo was not statistically significant. The 90mg per day group showed statistically significant improvement of 2.8 points in total motor score compared to placebo. No significant changes in cognition were observed during this 12- week study. In both studies, Huntexil was safe, and well tolerated by participants2,3. Huntexil is a dopamine stabilizer that was synthesized by Prof. Arvid Carlsson. It can activate dopamine receptors in hypodopaminergic status, and can also block these receptors in cases of dopamine hyperactivity. Huntexil has previously been tested in vitro and in vivo. It showed a good side-effect profile and its pharmacological effect is primarily on extrasynaptic dopamine receptors. Huntexil was first trialed in small groups of Scandinavian HD patients. After four weeks of treatment the results of these studies were primarily an improvement of the modified UHDRS. Following these short-term studies, the MermaiHD trial was organized. Previous studies showed no effect of Huntexil on chorea, dystonia and ocular movements, and so the evaluation of these clinical deficits was thought to ‘dilute’ the significance of the results. For this reason the modified UHDRS was chosen as the primary end-point of the study. That choice eventually proved to be a mistake because the periods of treatment required for improvement of the previously mentioned clinical deficits differ. The results of the study essentially showed no effect of Huntexil treatment at 45 mg per day and a borderline effect of treatment at 90mg per day, using as the defined primary end-point, the modified UHDRS. Additional analysis taking in consideration the number of the patient’s CAG repeats, age, or the total motor score on the UHDRS, showed unequivocal improvement for the group treated with Huntexil at 90 mg per day. Future studies are warranted. With the experience of this study, future studies should be long-term studies, with doses of pridopidine at 90 mg or more per day, using the total UHDRS motor scale as a primary end point, or a more sensitive and global motor scale, if such a rating scale is ever developed. 1 de Yebenes JG, Landwehrmeyer B, Squitieri F, et al. Pridopidine for the treatment of motor function in patients with Huntington’s disease (MermaiHD): a phase 3, randomised, double-blind, placebocontrolled trial. Lancet Neurol 2011 Dec;10(12):1049-57. 2 A randomized, double-blind, placebo-controlled trial of pridopidine in Huntington’s disease. Mov Disord 2013 Feb 28. 3 Squitieri F, Landwehrmeyer B, Reilmann R, et al. One-year safety and tolerability profile of pridopidine in patients with Huntington disease. Neurology 2013 Feb 27.